The German Research Foundation (DFG) has approved a new research unit focusing on the determination of the neutrino mass hierarchy during the JUNO experiment. Professor Michael Wurm and his team at the Institute of Physics at Johannes Gutenberg University Mainz will form part of this collaboration, which is coordinated by RWTH Aachen University. The scientists involved will try to resolve the question of the hierarchy or sequence of the masses of neutrinos; in other words, they are to determine which of the three known neutrino species has the lowest and which has the heaviest mass. The group is participating in the development of a liquid scintillator for JUNO in which neutrinos can be detected by means of the light flashes they produce. This will be used in the construction of the new neutrino detector in south China. More than fifty institutions based in China, the USA, and Europe – with six from Germany alone – will be involved in the Jiangmen Underground Neutrino Observatory (JUNO) experiment. The team from Mainz will be helping with two aspects of detector development. "We are currently working on the preparation of data analysis and detector simulations and are thus providing important feedback for the design of the neutrino detector. 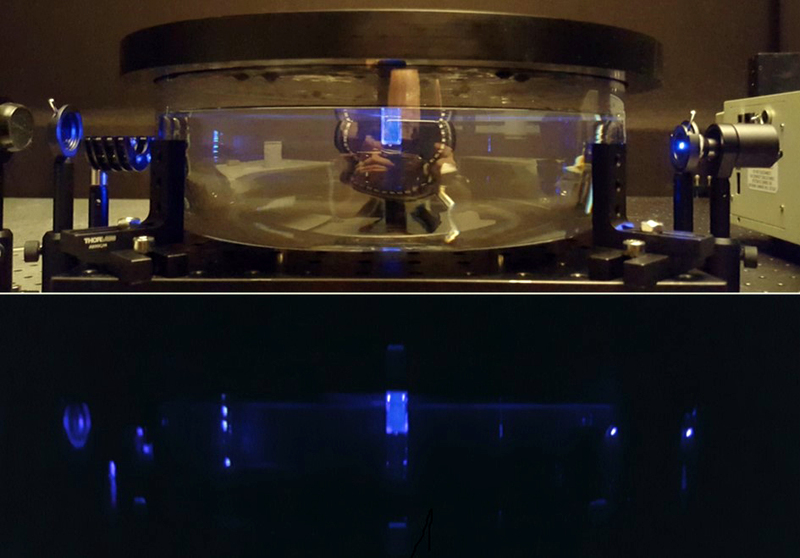 We are also helping to optimize the liquid scintillator and thus the medium that is to be used for neutrino detection, specifically with regard to optical transparency and precise chemical composition," explained Professor Michael Wurm. Both these are highly relevant to experimental sensitivity and thus the success of the JUNO experiment as a whole. Neutrino physics has long been an important feature of research within the field of particle physics, underlined by the awarding of this year's Noble Prize for Physics to Takaaki Kajita and Arthur B. McDonald for demonstrating that neutrinos have mass. Within the Precision Physics, Fundamental Interactions and Structure of Matter (PRISMA) Cluster of Excellence at Mainz University, neutrino physics plays a decisive role in investigating the world of weak-interaction phenomena. The experiment constructed in a laboratory in Mainz is designed to measure the scattering lengths of light in a scintillator sample. It is an important component that will help optimize the function of the JUNO scintillator.